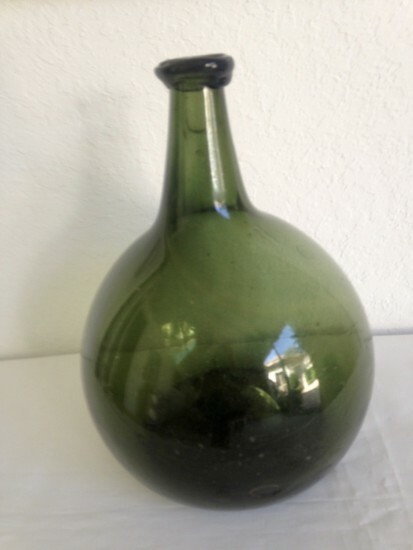 Large Olive-Green New England globular Bottle, c. 1800-20. 11 1/4″ tall. Fine condition with no issues.